Oh the weather outside is frightful–unless El Nino has brought you much warmer air! 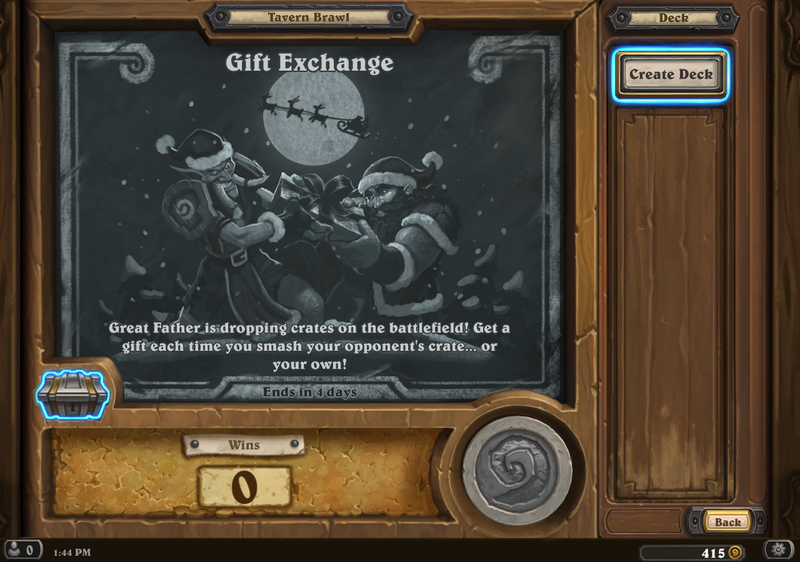 This week’s Tavern Brawl is holiday themed: Gift Exchange. You will pick a hero and construct a deck. What happens after that is either magic, or tragic! The gift boxes are an 0/4 minion that starts out on your opponent’s side (if you go first, or vice versa, if you go second). The object is to smash it and get to Discover a card. If you are unfamiliar how Discover works, you get to pick 1 of 3 cards that are related to your class. In this case, if it’s your opponents gift, you get one from their class. They will be loaded with legendary cards. The cards you get also have a lowered cost to play them. 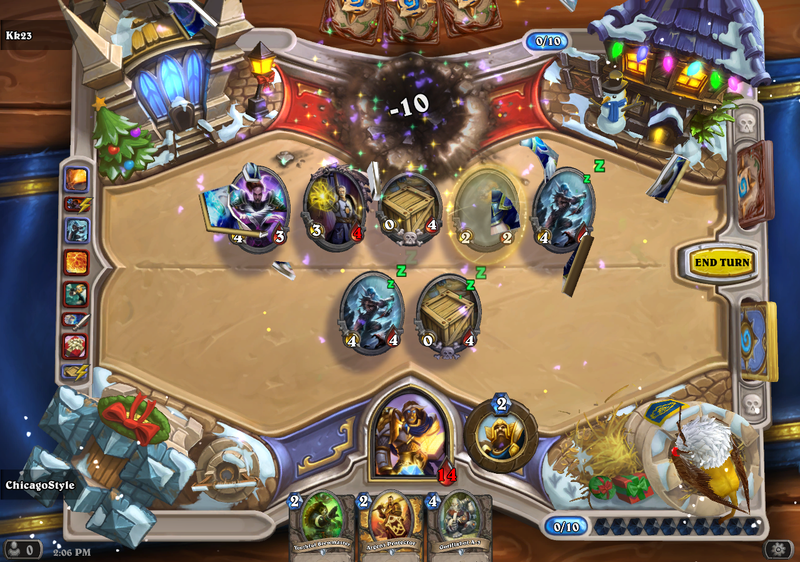 My opponent got 3 Tirion Fordring’s during this battle, but I got a couple Pyroblasts that I unleashed for 5 mana. In the end, does it really even matter? Of course it matters, because winning is excellent. So get in there and spread some excellence! 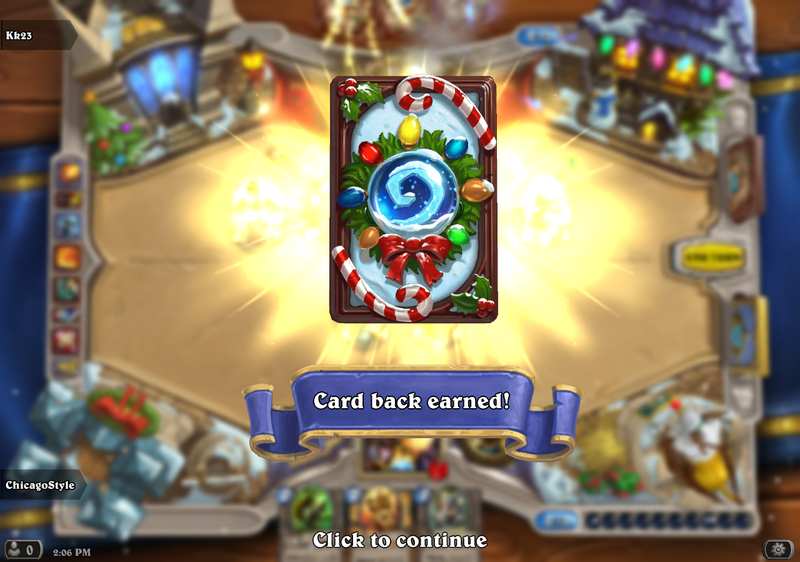 Winning this Tavern Brawl rewards you with the Winter Veil card back, which is even more excellent than you can imagine! Not sure if this will be the only way/time you can get this card back, but I would mosey on over and secure one while you can. See you next week–unless Blizzard takes off for the holidays! 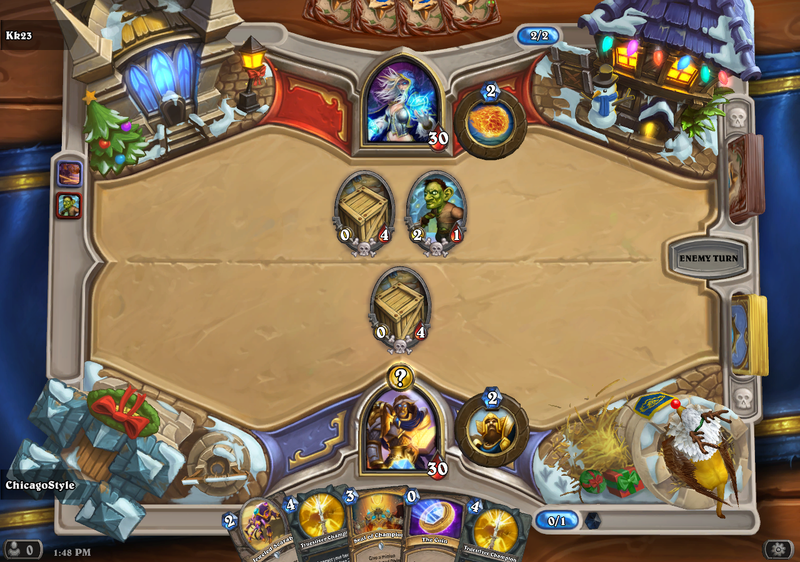 This entry was posted in Warcraft and tagged Brawl of the week, Gift Exchange, Hearthstone, Tavern Brawl, Warcraft. Bookmark the permalink. Do you still get a pack too?